The Sinovuyo Caring Families Programme aims reduce the maltreatment of children in South Africa by supporting parents to learn and use positive parenting skills. 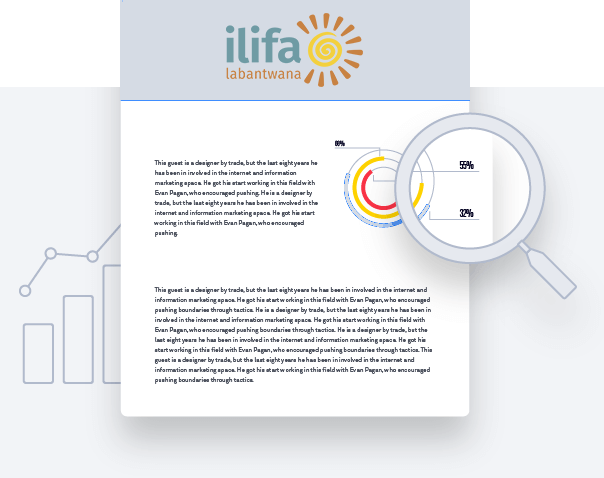 This publication reports on the lessons learnt from the programme’s test in Khayelitsha, Cape Town, which was partially funded by Ilifa. The Sinovuyo Caring Families programme is a collaboration between three academic institutions – the Universities of Cape Town, Bangor and Oxford – and three local community-based organisations – Clowns Without Borders South Africa, Ikamva Labantu and The Parent Centre. Published by Ilifa in 2014.